If you only want to see what’s below, standalone dedicated fishfinders give the biggest display and the best performance for the lowest cost. Multi-function displays are made to be used individually, or as the hub of a comprehensive onboard network. Pair the power and convenience of a multi-function display with a radar in one easy kit. 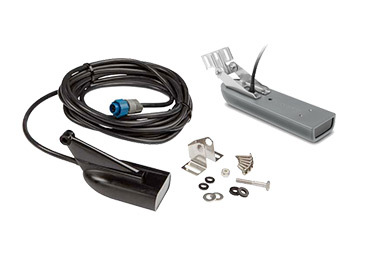 The transducer is the heart of a fishfinder system, changing electrical pulses into sound waves or acoustic energy and back again. When used with compatible fishfinders, black box sonar modules can increase power and enhance performance. Lots of us are still using sonars with single-frequency, dual-frequency or even triple-frequency transducers, which have served anglers well for about 30 years. This article will help you to understand CHIRP, and what it can do to improve your fishing and boating. 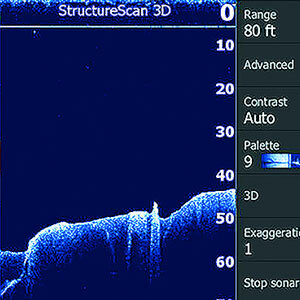 Scanning sonar is a new sonar technology that’s taking off in the recreational boating market. 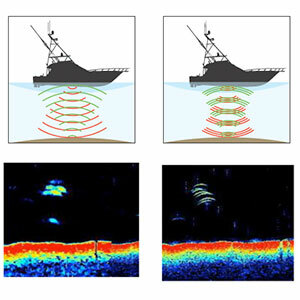 This technology produces near-photographic quality sonar images. A Transducer is the device that sends out the sound waves and then receives the echoes, so the fishfinder can interpret or “read” what is below the surface of the water. Unless you know where fish are lurking, casting out anywhere on the water doesn’t necessarily guarantee a bite. 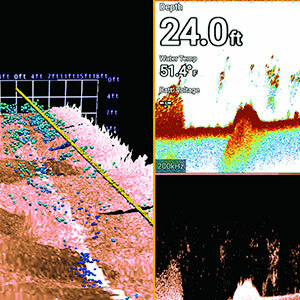 Finding where the hot spots are will help you save time and money while fishing. That’s where fishfinders come in. An essential part of any modern angler’s arsenal, a fishfinder makes catching more fish easier. Fishfinders help you pinpoint the honey hole using SONAR so you can see where the fish are and at what depth they are hiding. No more wasting time, tackle or line on deserted spots in the water. 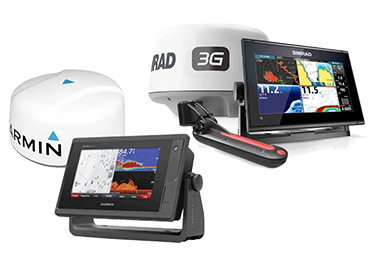 From standalone units, fishfinder/GPS combos, networked or multi-function displays, West Marine offers a wide array of fishfinders from the top brands on the market today. Keep reading for tips on finding the right system for your boat. 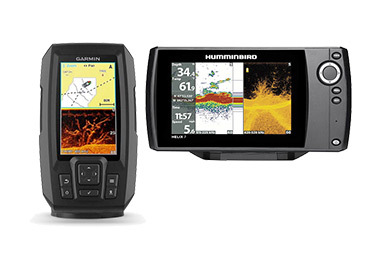 Should I Buy a Stand-Alone, Combo or Network Fishfinder? 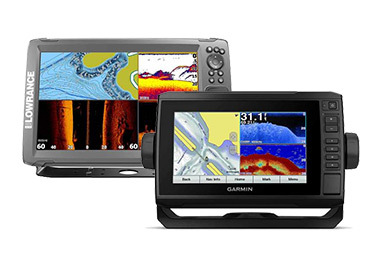 Stand-Alone Fishfinder: These units offer the biggest display and optimal performance priced economically. They are great for smaller boats used for fishing small, inland lakes. Also, stand-alone units are an ideal option for anglers on a limited budget or as part of a multiple-display system on a larger boat. 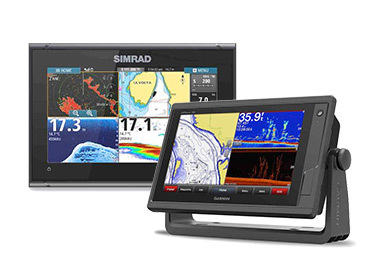 Combination Fishfinder/Chartplotter: Combos are the most popular option for mid-sized boats. The “black box” sounder modules can turn many chartplotters into combo units with an added transducer. 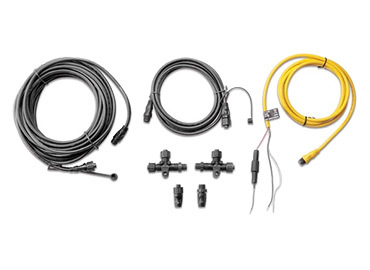 Networked System: These types of fishfinders offer a large range of data sources and sensors. 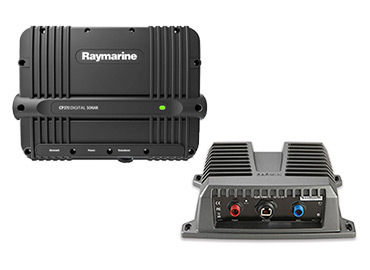 Featuring Bluetooth/WiFi and smartphone integration, multiple-display network systems are great for medium-sized or large vessels. Pixels and Colors: Obviously more pixels mean a higher screen resolution, which is great for seeing the air bladders of smaller fish. With more shades of gray or full-color presentations, you get a clearer image that’s simpler to understand. Your choices range all the way from 4-level gray scale up to 16.7 million colors. Size: Screen sizes range from 3 inches for standalone units to 16 inches on some of the combo/networked system displays. Widescreen displays allow you to see more meaningful information when you split the screen to display your GPS chart, radar screen or returns from more than one transducer. Transmit Power: Transmit power is expressed in watts RMS (root mean squared) and is related to how well you see in silt-laden water, view down to greater depths and successfully resolve separate targets and bottom structure. A 500-watt (RMS) fishfinder should have plenty of power for most coastal applications. Serious bluewater anglers should look for 1,000 watts or more. Inland lake fishermen can see the shallow bottom with only 200 watts. Transducers: Fishfinders operate using a single frequency transducer, dual frequencies, multiple frequencies or a broadband CHIRP system. In general, higher frequencies give the finest detail resolution, the least background noise on your screen and the best view from a fast-moving boat, but don’t penetrate as deeply as lower frequencies. Shallow-water inland anglers generally choose higher frequencies of 200kHz, 455kHz or 800kHz. For maximum depth, use lower frequencies. We recommend 200kHz or higher (up to 800kHz) for water depths up to 200' and 80kHz or 50kHz for deeper waters. CHIRP: The newest styles of broadband fishfinders are Compressed High Intensity Radar Pulse or CHIRP. These don’t transmit on just one or two frequencies. Instead of transmitting only 200 or 50 kHz, CHIRPing devices transmit a signal that sweeps linearly upward. We’re only slightly kidding when we say that one of the simplest ways to pick a transducer is to decide just how big of a hole you want to drill in your boat. Fishfinders intended for the small-boat, freshwater angler often come with a transducer, usually a transom-mount type. 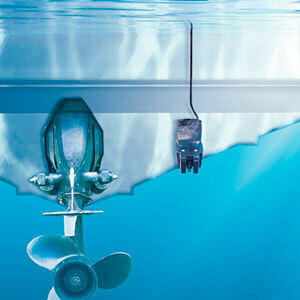 But many transducers are purchased separately and need to be installed through the hull. Thru-hull: This means a threaded bronze, nylon or stainless steel shaft passes through the bottom surface of the hull. You have several styles to choose from: external football-shaped head with water flow smoothed by a fairing block that also corrects for the dead rise (sideways slope of the hull); or round mushroom head thru-hulls, either semi-flush or flush mounted. 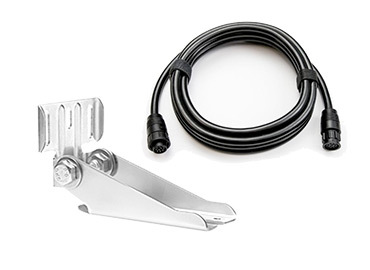 These are the most challenging to install, but likely to provide the best signal quality. Displacement power and sailboats generally use thru-hulls. Transom-mount: An adjustable-angle bracket is screwed or bolted to the transom, with transducer hanging below and behind the hull. Simpler installation than thru-hulls, but may encounter more turbulent water flow. In-hull: “Shoot through hull” transducers need no direct water contact. They are glued to the inside of the hull with silicone or epoxy. They do not work on cored hulls or steel hulls, only for solid fiberglass. Both in-hull and transom-mount styles are popular for trailer-able boats.